Paul Clement has entirely changed the fate of Swansea Football Club ever since he was recruited by the board in January 2017. We have seen a significant upturn in the club’s fortunes, as they successfully escaped what had seemed a near certain relegation. But this was only the beginning of the task ahead for the popular former Real Madrid coach. Paul Clement has worked hard to bring Swansea to where they are right now and he will make sure that his team do not forget the objectives which are not yet completed. We all know that Swansea turned round their season. The fans are expecting the team to enter the next Premier League season with better form and positive momentum. It is important to note that Paul Clement managed a good season with what he had at his disposal. This year, the Swans manager will be improving his squad with the resources allotted by the club’s board of directors. It is believed that the manager has been handed a decent budget to recruit quality players for next season. However one shocker for the team is the possibility of the departure of Swans star player, Gylfi Sigurðsson. 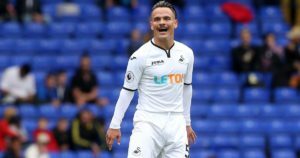 The players who have already been recruited include Roque Mesa, Tammy Abraham on a season long loan from Chelsea and goalkeeper Erwin Mulder. Paul Clement and the board are on the same page to not overspend. However, he will still be looking to bring in the best possible players for next season’s campaign, especially if Sigurðsson leaves. Here are four reasons why the Swans will easily survive this season. Swansea’s second half of the season was considerably better than the first with the team achieving 29 points in the second half of the season which was a tremendous accomplishment. The first thing that Clement needs to do is motivate his players once again and make them believe that they can win every match. It is important to go into the next season with the best form and mentality. The team will hit the ground running from the very first day. It is crucial to stay focused throughout the season to survive easily. We all know how quickly things change in the most competitive and star-studded league of the world. This is reflected in the speed at which football betting odds change. If you want to see the current betting odds, this is a good site to find various markets. One mistake in the initial weeks of the season can be a difference of a team’s final position on the table. Therefore, the team as well as Paul Clement will have to remain focused as when you are on a winning streak it is easy to get carried away. Swansea know how badly they will be punished if they lose concentration. Fitness is one of the most important characteristics of the team. It indeed is an individual feature of a player, but football is a team game. Even a single player who is unfit and cannot perform can cost the game. In an intense game, everyone needs to be highly involved. Therefore, Clement will have a big task upon him – to keep his squad fit and he will have to prioritise his squad to keep his key players on top of their game. Paul Clement will have to bring the best out of the currently injured Fernando Llorente. We know how lethal he can be in the air and with the advantage of height on his side, it is important for the manager to make a system in which he can flourish. The Swans wide players such as Narsingh and Montero are key to this strategy. Last season, Llorente scored two great headed goals against Burnley on which Clement said that he compares to the likes of Ronaldo. With less than two weeks until the season starts, one thing is for sure, its going to be another entertaining season at the Liberty!